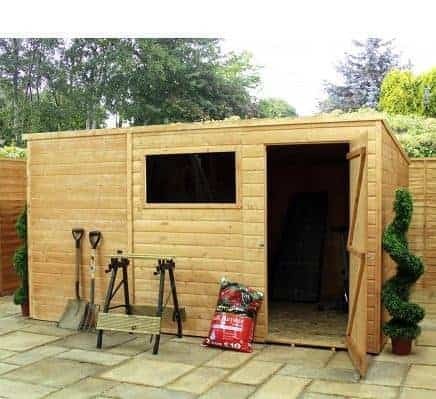 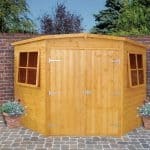 This Shiplap OSB Pent Shed measures 12’ x 8’, making it large enough to accommodate the needs of just about any domestic gardener. 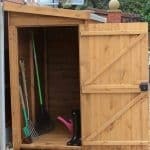 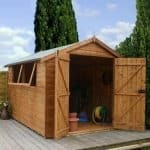 As well as mowers and other gardening equipment, there is plenty of room for workbenches, a wide variety of other tools, and even bicycles. 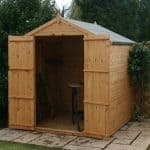 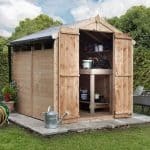 The design of this wooden shed uses 12mm shiplap cladding, which helps to keep it as watertight as possible. 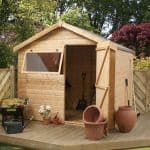 There is also a fixed styrene window which is located on a front panel which is interchangeable with the door – allowing for ease of access, as well as providing the flexibility to maximise the amount natural light in the shed.